So a few things have happened this week. I published “Potion Shop”. It’s available for 99 cents at the moment, but will be raised to $2.99 on Monday. You can find it on Amazon or Kobo. I also published a few more books on Kobo. Two of them are stuck in publishing. Kobo’s tech team is working to figure out why that is, and hopefully all of my currently available titles will be available on Kobo and Amazon very soon. 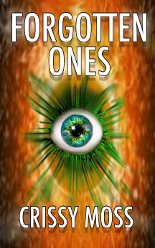 Also, I have three chapters left to edit and finish writing for “Forgotten Ones”. I am hoping it will be out this weekend as well. I’ve been sick for the last few days so it’s slowed down my writing quite a bit, but now I’m starting to feel better so I have high hopes. Also…. Tonight is the Self Publish Round Table Podcast. If you haven’t seen it yet, then you need to! We all have a roaring good time, and the comments get pretty awesome. If you hang around after the podcast we usually have an after party and chat with all our wonderful fans.